On a random afternoon, a sick and twisted little girl decided that she didn’t have enough men hating her yet, so she tried an experiment on Tinder — inspired by a Medium post by Blake Jamieson. 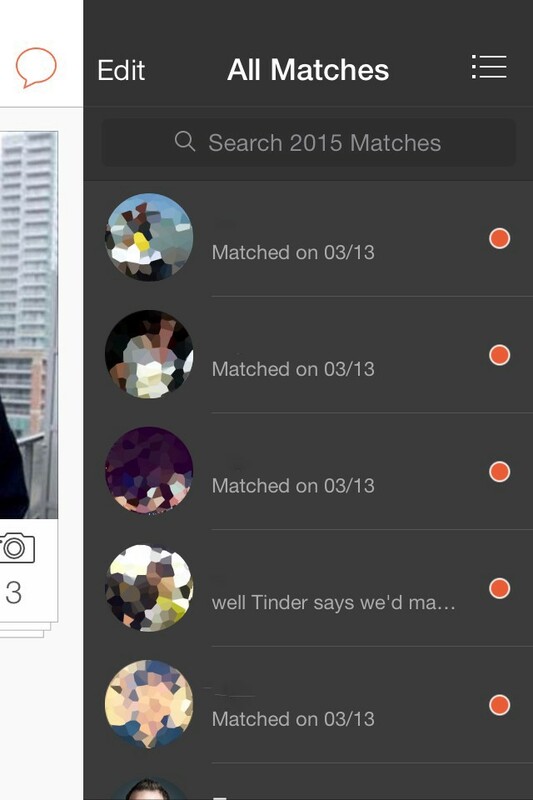 Seventeen hours later, she got over 2,015 Tinder matches. That sick and twisted little girl was me, now the most-hated woman in Toronto. One of the biggest reasons why I am good at what I do is my lack of experience. I don’t know the rules, therefore I think there is no box, and push things beyond their limits. I do crazy things on various social networks all the time, to find loopholes and tricks. Some people call it “gaming the system,” I call it experimenting. It was love at first sight when I came across Blake’s blog post. I sent him a message, and Blake encouraged me to run a Tinder hack myself. I realize many men are going to get very upset when they read this article, and I am preparing to become the most hated girl in Toronto. If I don’t do crazy things, this blog wouldn’t exist. I told people to marry money, lie on a resume, don’t go to college, steal to be successful, and stop helping people. It’s not the first time I’ve written a blog post that is going to upset a lot of people. Feel free to hate me for leading people on and exploiting the platform for my social experiment. Keep in mind, if you hate me, you will have to carry me everywhere. Thank you for the attention, love. Life is just too short to pretend to be someone else and bury my thoughts. If nobody hates me, I am doing something wrong. That is how I started my new social experiment, the Tinder-hack. Instead of using an existing Tinder account — like Blake used for his experiment — I created a brand new Tinder account. It’s just easier for me to get a better understanding. The new profile was very similar to my real profile. With the help of my fabulous gay best friend, Mathew Hanley, we added a “Hot Match of the Day” graphic to my profile picture. 1. Social proof — Most people like to fit in. They want to feel as if they belong to a group. If they think a large group of people already liked my photo, they are more likely to do it even if they don’t find me attractive. It’s easier to follow in other people’s footsteps. 2. Urgency — It looks like a new feature. If they don’t take an action now, the profile may be gone forever. When I created the fake Facebook account for the Tinder experiment, I liked all the popular pages from the suggested list. It increased my chance of having a “shared interest” with other people. 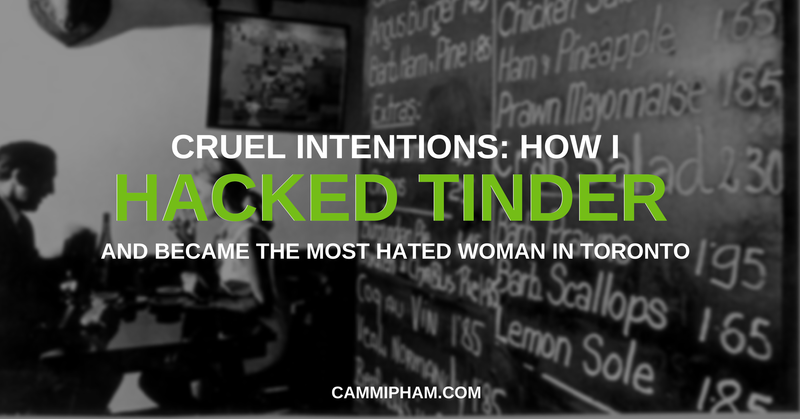 On Tinder, swiping right is how you “like” people. Because I marketed myself as “Hot Match of the Day,” I swiped right on everyone. This is the only way to find out how many people swiped right. Cruel? Yes, but don’t forget a Tinder like is not a proposal. Most people will forget about it the next day. When I started out, I just wanted to know how long it would take me to hit Blake’s number. I stopped the experiment when I got 800 matches. After 5.5 hours, I got Blake’s current number of matches. I woke up the next day, and there were almost 2,000 matches in my Tinder box. I got 700 new matches over night. Tinder put people who swiped right in front of the deck. After the first hour, everyone I swiped right was a match. 25–30% of the people will message first. I received over 400 messages when I had 1,250 matches. I couldn’t count how many when I had over 2,000 matches. 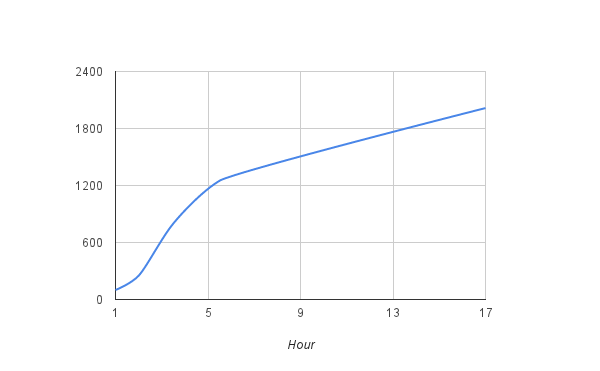 Compared to Blake’s experiment, my messaging rate was a lot higher. I guess most women expect men to start the conversation first. Men are more likely to send the first message. Most importantly, most Tinder matches go nowhere because nobody sends the first message. People noticed the banner. 3% of people mentioned “hot match of the day” in their messages. Another 3% mentioned “Tinderfella.” I didn’t expect people would love my “ Searching for my Tinderfella” line at all. A lot of guys seemed to think it was funny. 3% Read my blog. Many of the men read a few of my blog posts and liked them. To be honest, I didn’t expect anyone to check it out at all. Lesson learned: Tinder users care beyond photos. They take their time and put in extra efforts to get to know you. Those guys stood out. I responded to all of the gentlemen who mentioned my blog. Less than 1% are women. For the experiment, I had my account listed as both interested in women and men. Surprisingly, I rarely got a match with a lovely lady. The number of female matches I had was less than 1%. From my experience, Tinder is not very LGBT-friendly. After 12 hours, if you don’t respond, people start blocking you. I had over 1,500 notifications and at least 500 unread messages when I wrote this post. I notice that I lose an average of 50 matches each day. Tinder security bug. If you logout and log back in with different Facebook account, you might still have access to all the matches from the old account. When I logged in with my old account to compare, I got access to all the messages from the Tinder-hack account. I can message all the guys. Until this bug is fixed, it’s a bad idea to borrow someone’s phone to check Tinder. Is it possible to run a Tinder Marketing campaign? Yes. Would I suggest it? Yes and no. You will need to design a very creative campaign that is not “in your face.” It should be more content marketing, and less advertising. Tinder users know about spam ads on the platform and they hate them. A lot of responders asked me if I was fishing for blog traffic. I had some great conversation with Tinders about this topic. 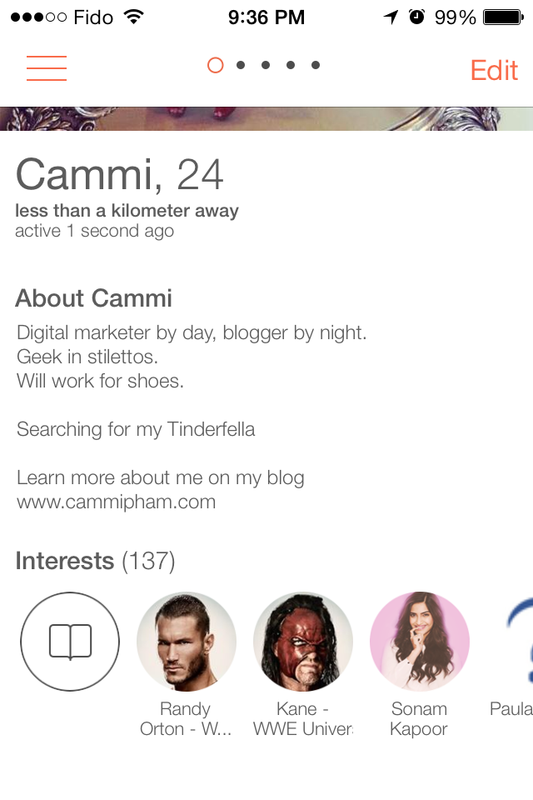 If you want to leverage Tinder for a marketing campaign, you’ll need to find a sophisticated way to connect with Tinders and add value to their lives. Straight-up spamming will hurt your client. If you must be a spammer, be a good one. Be crazy, be creative, be entertaining. Be so good that people cannot tell you are a spammer. From my experience, adding “Hot Match of the Day” to my display picture increased my chances of being matched with someone. Why? Peer pressure. Most people don’t realize it was a hack and they want to follow the masses. Even if someone can tell, the photo stands out and he gets a good laugh. I had some great chats with people about the hack, and those guys loved it. Only one person thought it was tacky. One out of 2,000 is 0.05% — that’s not too bad. Tinder allows you to add up to six photos, use all of them. I couldn’t add the last photo because of a bug. If Tinder gives you real estate for your photos, use it. I would put the best photos in front of the album, because lazy people won’t check all of them. Having your best photos in front will increase your chances of being matched. Take good photos. They say image is everything — this is so true! Tinder is all about first impressions. If you want more matches, take good photos. Your smartphone camera is probably good enough. Ask a friend to take a few photos of you, or buy a mobile tripod and use a camera timer app. Avoid group photos at all costs. If I can’t tell who you are, I won’t swipe right. Plus, you don’t want to be the person with the cute friend. I have to admit, I swiped right once because I liked a guy’s friend. I thought maybe I could find out who the friend is when I talked to him. Please stop posting all the Machu Pichu, cuddling with Tiger, snowboarding, Halloween costume, partying with friends, and other photos like them. Be different. Try to stand out with your photos. You want a good first impression. Tinders are not as shallow as I thought. They invested their time and energy to read my bio and check out my blog. Not everyone will read your bio, but have one for the serious people. You may lose matches because you were too lazy to fill out the bio. Have a hook. On Twitter I have “Will work for shoes.” On Tinder, people loved “Searching for my Tinderfella.” Have a tag line to help people remember you. Don’t be shy, include a link to your website or social media profiles. The best conversations I had were with people who checked out my blog. We had a lot more topics to talk about. Believe me, just because one of my profile photos focused on my shoes, I didn’t want to chat about my shoe collection with every guy on Tinder. From my and Blake’s experiments, we know only 8% women and 25% men will send the first message. Almost 70% of matches won’t go anywhere because nobody wants to send the first message. What a shame! Don’t be shy, just send a message. Dating is just like public relations and marketing. You need to optimize everything for a higher conversion rate. I didn’t realize how important the first few words of a message are until I had over 500 message in my inbox. The first few words are the first impression — choose wisely. You want them to be different and give a good impression. From my experience, most messages I received were either “Hi,” “How are you,” a cheesy pickup line, or about the weather. To be honest, when I have 500+ messages, I ignored those. I only responded to the messages into which I can tell people invested time and effort. Spend time, read their bio, and write a personal message to all your matches. It can make a big difference. A tailored message will increase your response rate. Every day, I lose around 2% of all matches. Maybe people swiped right by accident and blocked me. I know some people blocked me because I didn’t respond to their messages. I had a lot of messages — it takes time for me to go through them. Most people don’t know and don’t care about that. Just like any social network, to increase your popularity, you should be active. If you want to find the love of your life on Tinder, make sure you reply messages in less than 12 hours. If someone doesn’t reply to your message right away, don’t block them. Maybe they’re busy, sick, out of the country, or inundated with messages. Just like in real life, if you stick around long enough, most likely you will get the reward, because everyone else is gone. Dating is a marathon, not a sprint. One of my matches was an attractive young gentleman with a black and white photo with an adorable baby. I told myself I would message him the next day. The next morning, I woke up and found an additional 700 matches. I never found him again. I am always so good at losing attractive men. Don’t repeat my mistake. If you find an interesting person, add them to a list. It is the best way to organize all your matches, especially if you are popular on Tinder. When I woke up the next day my Tinder account was almost useless. It took forever to load. It was very difficult to search for people. I don’t blame the Tinder guys. This was a social experiment not a search for true love. It is one of the rare cases. It sounds like a lot of fun but it is not the right strategy to find true love. QUALITY OVER QUANTITY. Be picky. It is better to have 1–2 matches that you are attracted to than thousands of matches that you don’t even care about. Time is your most valuable asset, don’t waste it. What happened to my Tinder-hack account? Before this experiment, I already knew Tinder wasn’t for me. Maybe if one day Tinder and Quora collaborate, I will come back. I am too busy finding someone who will take over the world with me. Tinder is not the best way for me to invest my most valuable asset — time. It is a great place to meet fun and interesting people, but it wasn’t my thing. Sorry Tinder, it’s not you, it’s me.